Are you looking for a piano moving service? Or thinking of moving it yourself? Moving from one place to another is a quite frustrating and challenging experience. And when you are moving long distances like interstates, the challenge increases even more. Furthermore, moving something large and heavy such as the piano adds extra stress when planning your relocation. At South Florida Van Lines we have the resources and the experience to make sure that your piano arrives at your requested destination unscratched. 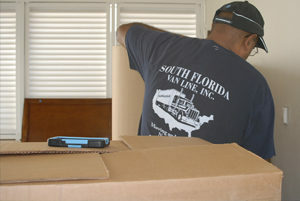 South Florida Van Lines is committed to being the best in the piano moving business. Starting with your initial office contact, scheduling, and follow-up; and continuing through the actual relocation at the source and destination, we are dedicated to offering you the highest level of customer satisfaction. At South Florida Van Lines, we have the knowledge and experience to correctly pack your piano to make sure that it will not be damaged or scratched during the move. Hire our services in Florida area whenever in need of storage and/or transportation services. South Florida Van Lines is your number one choice for a moving company which is more than capable of transporting high-value fragile shipments such as piano. 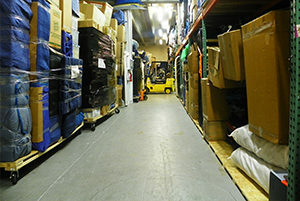 Our climate controlled warehouses provide the comfort and protection for one of your most valued belongings. All the pianos in our warehouses are enclosed with special plastic liners and are blanket wrapped in order to keep everything off of and out of the pianos. South Florida Van Lines is the right storage solution if you are looking for a ‘home away from home’ for your piano. No matter if your household move is small or large, let the moving experts at South Florida Van Lines give you the attention and service you expect and deserve. With years of moving experience, we are qualified for all kinds of household moves. We are committed to offering quality service and customer satisfaction warranty.